Alan Gilbert and Sol Gabetta's Concert in Lyon: "Unusual and Beautiful"
Christian Thompson is the Director of Artistic Planning of the Lyon Auditorium and Orchestre National de Lyon. This Englishman explains his role in this international classical music institution and tells us more about Alan Gilbert and Sol Gabetta’s concert (January 25-27) organized in partnership with This Is Lyon. Can you give us three good reasons to go to see Alan Gilbert and Sol Gabetta’s concert (January 25-27) at the Auditorium? 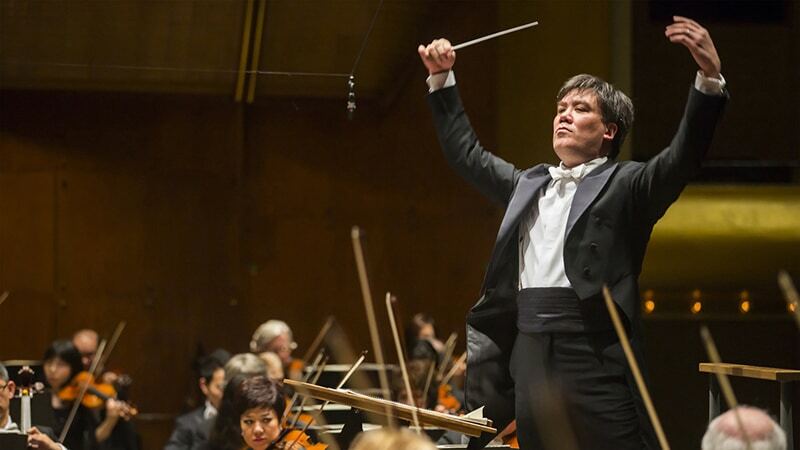 The Orchestre national de Lyon has a close relationship with Alan Gilbert; he was until very recently Music Director of the New York Philharmonic and his sister is our concertmaster, so it will really be family on the stage! Sol Gabetta is our artist-in-residence this season, she is one of the most demonstrative and colourful musicians in the world, passionate, generous, engaging. Even if the Martinu concerto may be a little unfamiliar, she will give everything to the public. It’s also an unusual programme, most orchestras would play the three pieces in the opposite order, but in Lyon we decided to play the very smallest piece (Bach) at the end of the programme, a moment of respite, even simplicity, after such overt romanticism. I think it’s really beautiful. What are the other concerts not to be missed this season? I love our programme “Turn off the lights” (Eteignez les Lumières) on 3 March. It will be a concert of esoteric music but played by our full orchestra completely in the dark. We’ve never tried this before, but we hope it will be a unique moment for the public to meditate, reflect on the meaning of life, sleep, in fact (almost) whatever they want to do with the lights off! 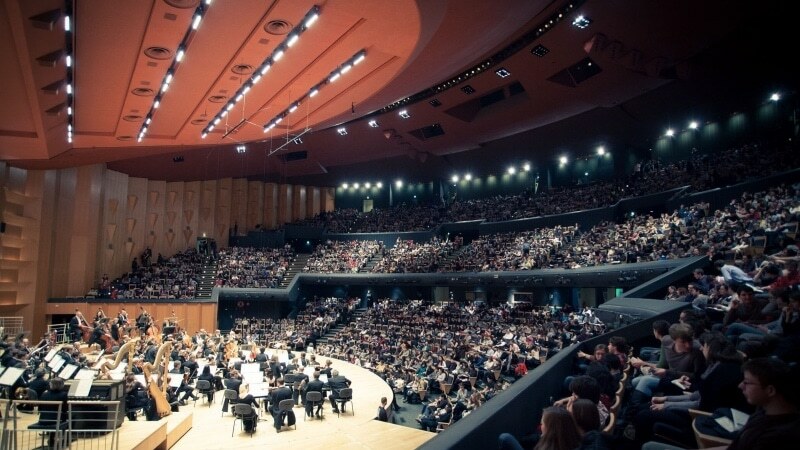 How is the Auditorium of Lyon an exceptional venue? Over the course of a season, we present every kind of music from symphonic to chamber, jazz to baroque, pop to film, many programmes for young people. I really believe we have a role to offer something for everyone. And I know some people find the architecture of the building a bit strange, but INSIDE the hall is absolutely beautiful; and every seat in the hall feels close to the stage. Can you explain your role in the Auditorium? My title in English would be Director of Artistic Planning. That means that I am responsible for choosing the artists who appear on our stage and I spend a lot of time deciding with them what they will play. I also have to be sure that with 180 different curtains-up, nothing clashes in our planning! How did you get to the Auditorium? What is your musical and professional background? 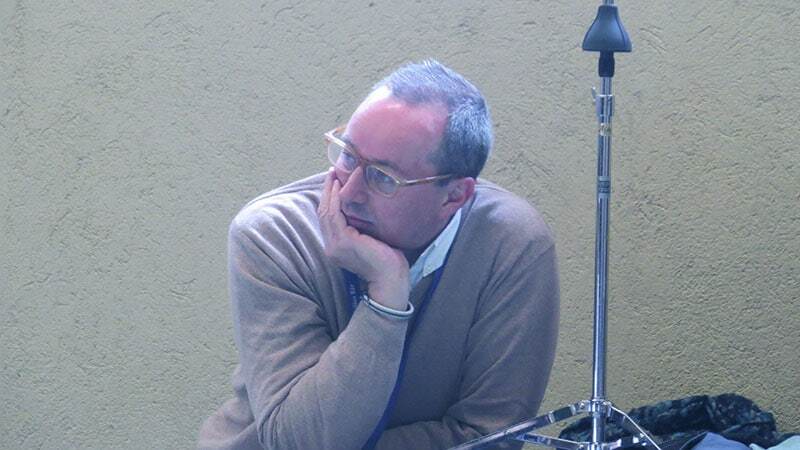 I was hired by the previous General Director, Jean-Marc Bador. I was once a very bad pianist. But I decided to work behind the scenes; I realised very quickly that it was easier to plan and arrange concerts than to practise an instrument! And through my professional life, I have been an agent, I have run an academy, a festival and now I work very happily for a fantastic orchestra and concert hall. How does the ONL and the Auditorium contribute to Lyon’s international reputation? The Orchestre national de Lyon is a world-class orchestra. I know it’s my job to say it, but actually it’s true. I hear a lot of major orchestras and we really do have our voice. And we’ve been lucky enough to go out on tour and to show off what we have to offer to a wide international audience including, one year ago, a brilliant concert at Carnegie Hall in New York. I just wish that our Auditorium was firmly on the tourist map…. We have our Saturday night concerts at 6pm so that the public can go out for dinner afterwards! As an expat, do you feel that Lyon is an international city? I always say that Lyon is a bit like Paris but without the attitude. But international? I don’t know. I learnt French, my girlfriend is French, our friends are French, the musicians are (nearly all) French, the food is French so, for me, it’s a French city! What are your favourite places in Lyon, to drink a coffee, drink a beer, dine, go for a walk…? I love the Fer à Cheval in Les Halles for a coffee; it’s where our musicians go before morning rehearsals. For a beer in the summer, I love the barges on the Rhone. We had dinner a month ago at Les Apothicaires in the 6th and that was a truly historic meal, ask for the table on the pass. And walking, you can’t beat going to see the giraffes in the Parc de la Tête d’Or (does everyone say that? ).